Media Insider: Facebook Spotlights Local News, 4 Steps to Collaborating with Ethic Media, and Are Student Journalists Vulnerable Under Trump? Photo by Marc Benton, used under CC BY-NC 2.0. Facebook has a local news series that highlights interesting ways local news outlets are engaging their Facebook audience and building stronger ties with local news. The latest in the series shows how WGN TV in Chicago used an aerial shot to go live from the Women’s March taking place locally in Grant Park. WUSA9 showcased a series of portraits on Instagram — similar to the style of Humans of New York — with quotes from someone involved in the biggest events since the inauguration. WBFF FOX 45 shared a video of a Maryland farmer who planned to drive his John Deere to Washington, DC for the inauguration. Each post in the series shows the amount of views received. 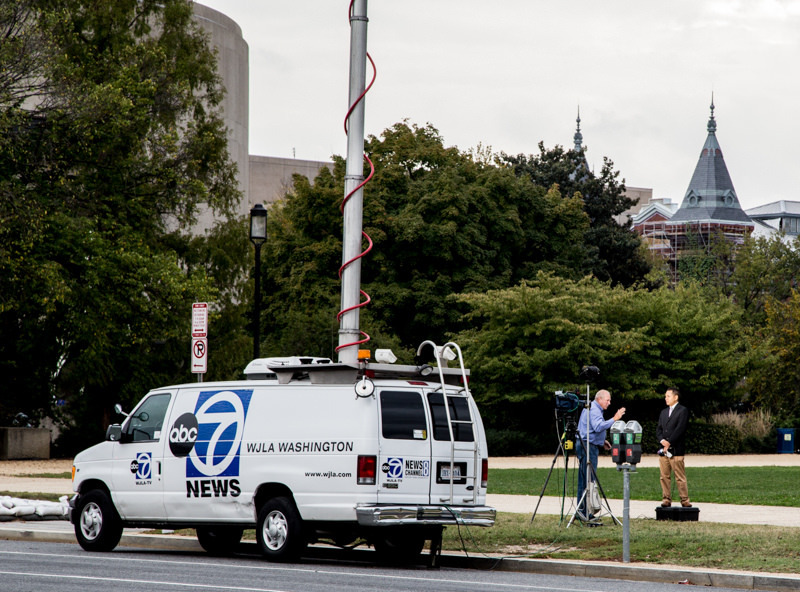 ICYMI: Here is why local news coverage is so important. Also, more recent: The big journalism void: ‘The real crisis is not technological, it’s geographic’. Time Inc. launched a new video-based brand called Coinage that’s devoted to money and personal finance. According to Digiday, the brand will target young consumers, and feature topics like tax consequences for Super Bowl athletes and an explainer on high-end house flipping. The short videos will incorporate graphics and interviews, with the goal of running them on multiple sites to maximize their exposure. “To that end, Coinage videos will appear on Time Inc. brands and through company newsletters,” says Digiday. Time Inc. says they make more money with videos on their own site than they do on other platforms, like Facebook. So, their strategy will be to do both. In the process of rebranding? Check out these 5 ideas to steal from brands that ruled the Super Bowl. POTUS’s tense relationship with the media has some wondering what his anti-media rhetoric means for student journalism. Jonathan Peters reports that Trump’s ability to shape FOIA could result in a burden on both student journalists and professionals. He also suggests that administrators, especially in high school settings, could begin to restrict student press coverage of controversial issues. This is a big problem, Peters says: “Student journalists have filled in gaps created by the traditional media’s decline, playing a vital role in meeting their communities’ news needs.” He uses the Mizzou protests and Michigan high schoolers pressing Gov. Rick Snyder about his endorsement of Betsy DeVos as examples. Did you know that The New York Times launched a program to allow its subscribers to help support Times journalism and education for students in public schools? Thousands of ethnic media exist, but they don’t always have the resources to cover their communities like other major outlets do. On the flip side, major news organizations aren’t always able to report from the perspective of ethic media, largely due to lack of diversity. This is why major news organizations and ethnic media should collaborate more often, says MediaShift’s Daniela Gerson. From her four steps to start collaborating with ethnic media: identify major ethnic groups in your reporting area; locate the ethnic media that represents them; communicate with those ethnic media; and explore new platforms to provide news for those groups in collaboration with ethnic media. Speaking of platforms, a Knight Report on Podcasting identifies the need for more diversity, infrastructure and better analytics. It’s no secret that freelancing can be more stressful than journalists would like. However, there are some good gigs out there. CJR asked more than two dozen freelancers about their experience, in order to identify publications that value freelancers. Focusing on pay, the editing process, turnaround time, and the ability to maintain a relationship with the publication, CJR found that there are six publications that make the job of freelancing less of a hassle. On that list are Mel Magazine, Pacific Standard, Los Angeles Times, Quartz, The Guardian, and The New Yorker. CJR plans to keep updating the list with positive freelancing experiences and encourages freelancers to contact Carlett Spike at cspike@cjr.org to share their feedback. See also: Do You Live in One of the Best Cities for Freelancers?